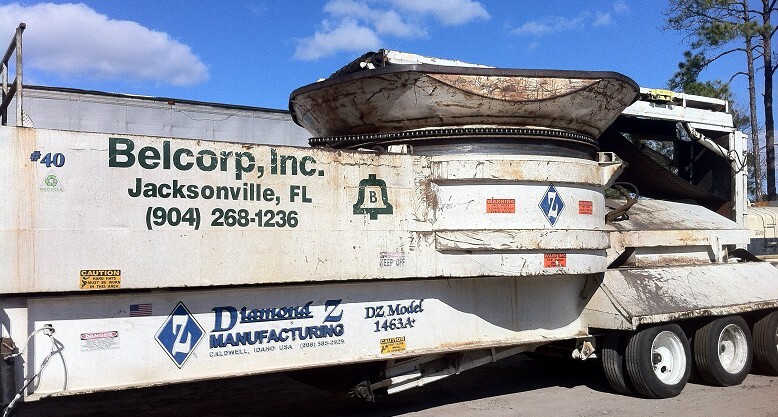 Belcorp has been a leader in grinding green waste, tires, Class-1 and Class-3 Solid waste for the past 15 years. While most of our grinders opperate out of landfills, Belcorp is also able to bring one of our Diamond Z grinders to any jobsite. We make it easy for you to turn those piles of trees and debris into easily transferable mulch, saving you both time and money. 2012 Belcorp, INC. All rights reserved.